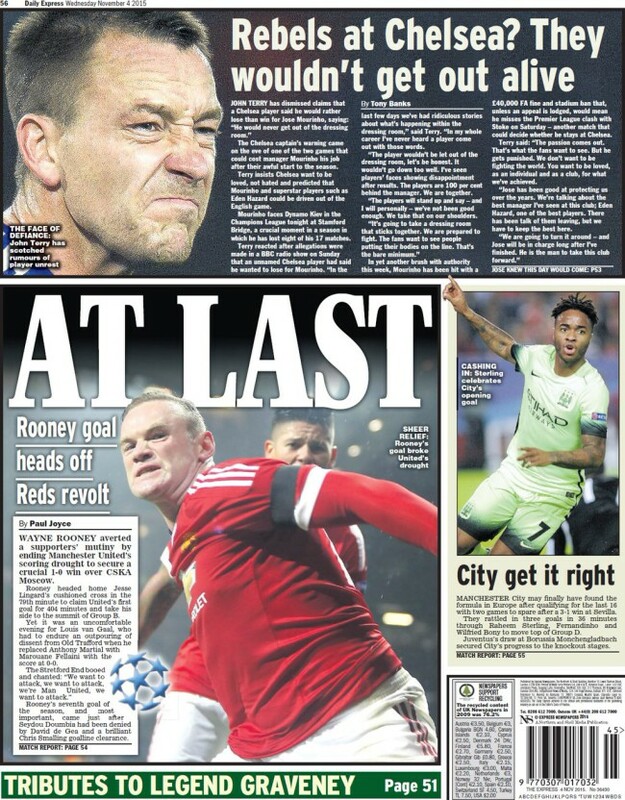 Chelsea manager Jose Mourinho continues to set the sports pages agenda. 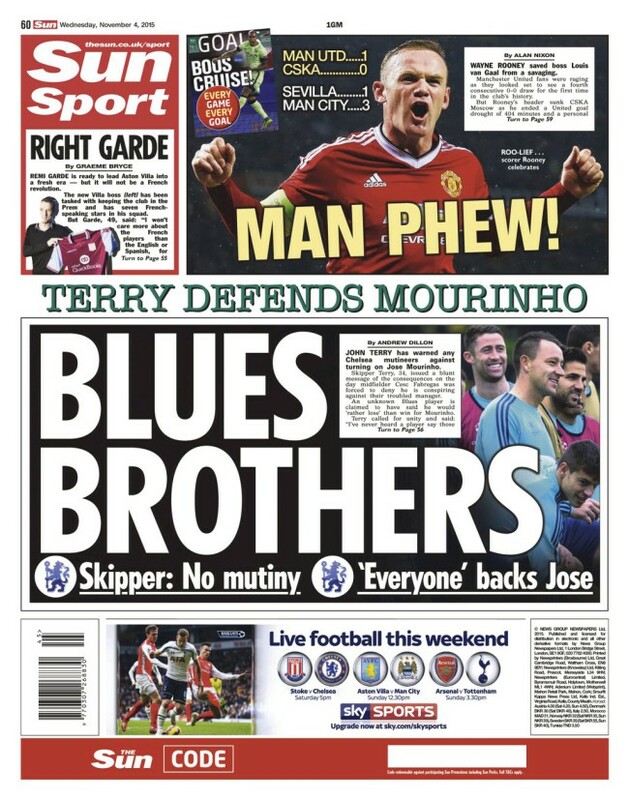 The Sun (backpage): “BLUES BROTHERS”. Chelsea captain John Terry says Chelsea are United and squarely behind Mourinho. 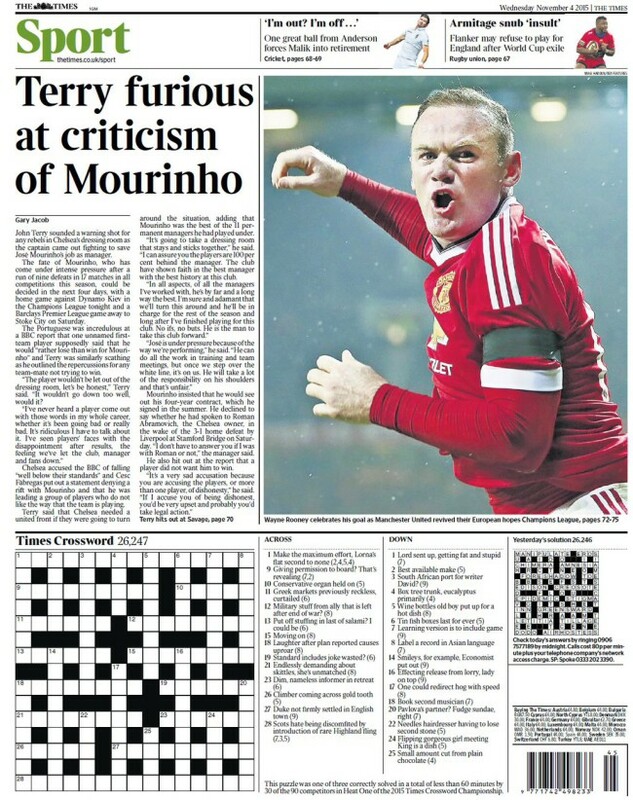 This is unlovely, driven and pragmatic Terry – Mourinho’s vision of football made bone and meat. No shock he supports his manager. Gianfranco Zola wants to manage Chelsea. He says he “needs to improve as a manager if I want to get there.” No kidding. John Terry has words for the player who apparently said he’d rather Chelsea lost than win for Mourinho. “The player wouldn’t be let out of the dressing room,” says Terry. Cesc Fabregas says he’s not the poison in the well. Terry blames the messenger and says the BBC reporting the story fell “well below their standards”. When John Terry is the barometer of standards, you need to take a long, hard look at yourself. Or laugh. Not quite what John Terry said. He never did threaten to murder the enemy in the camp. 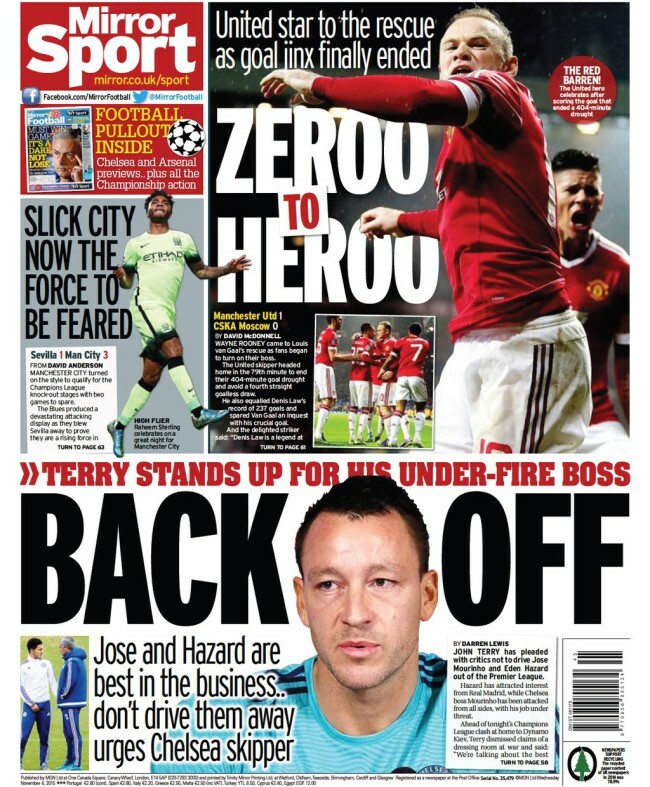 John Terry has “pleaded with critics not to drive Jose Mourinho and Eden Hazard out of the Premier League”. Looks like Jose’s not leaving. And he wants to remain in London even if Chelsea give him the boot. José Mourinho will be permitted to work for another English club if he is sacked by Chelsea under the terms of his contract at Stamford Bridge. It is understood that while the four-year deal he signed last August contains a clause stipulating that Mourinho is entitled to one year’s salary of £9.5 million in the event of his dismissal, there is nothing restricting his future employment. Sack him and he stays in London? But who would he manage? Arsenal fans can’t abide him. Spurs wanted Mourinho in 2007 after he was sacked by Chelsea. But the severance package prevented him moving to White Hart Lane. Would Spurs move for him again? Would West Ham United?